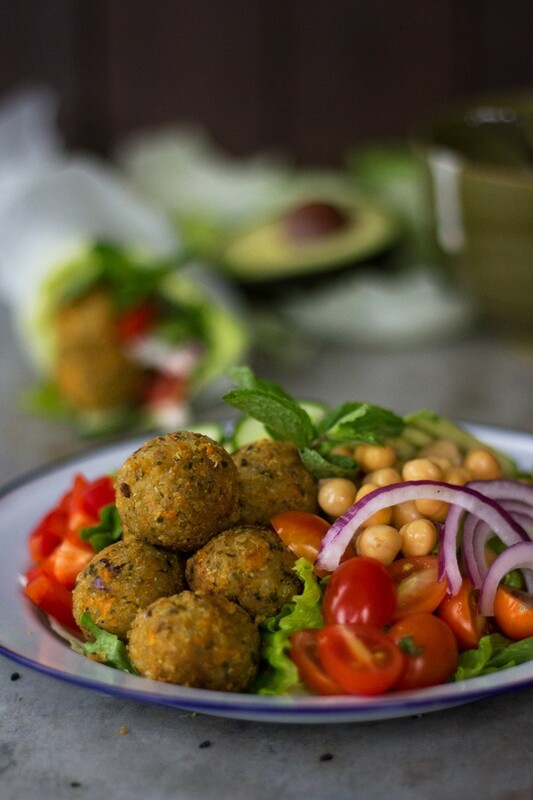 1 This Quinoa Falafel with Yogurt Tahini Sauce is a fabulous vegan meal that even meat eaters will love! 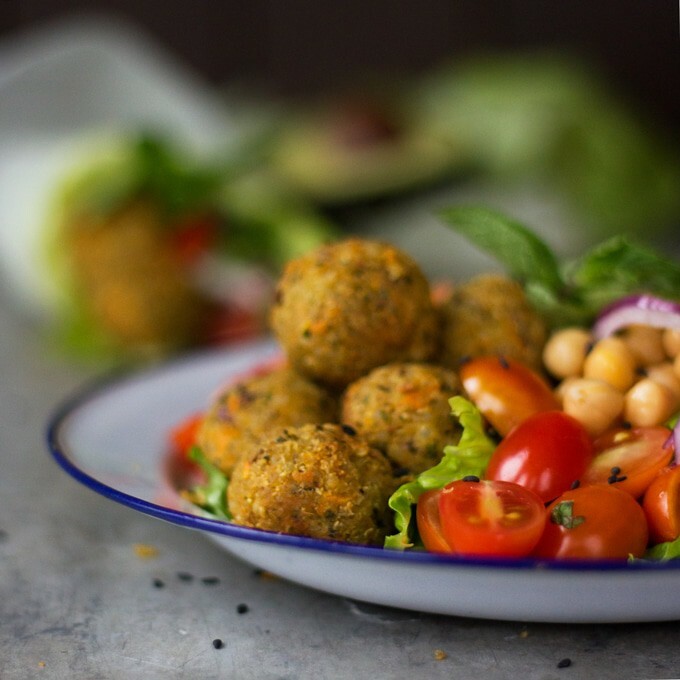 This Quinoa Falafel with Yogurt Tahini Sauce is a fabulous vegan meal that even meat eaters will love! Hello, my name is Sophie MacKenzie and I am the blogger behind Wholeheated Eats. I specialize in easy and affordable whole-food recipes that can easily be made at home. My food philosophy is simple – eat whole and unprocessed foods whenever possible. Although I am not on a strict vegetarian, vegan, raw, or gluten free diet, I often find myself making foods which easily fit into all or any of those dietary needs, or ones that can easily be adapted to them. One of my favorite parts about traveling to new and foreign locations is exploring the world of street food. With each new city comes a variety of tantalizing new offers, each as unique as the cities in which they are found. Sandwiches, barbecue, kebabs, and noodles, never seem to let me down. 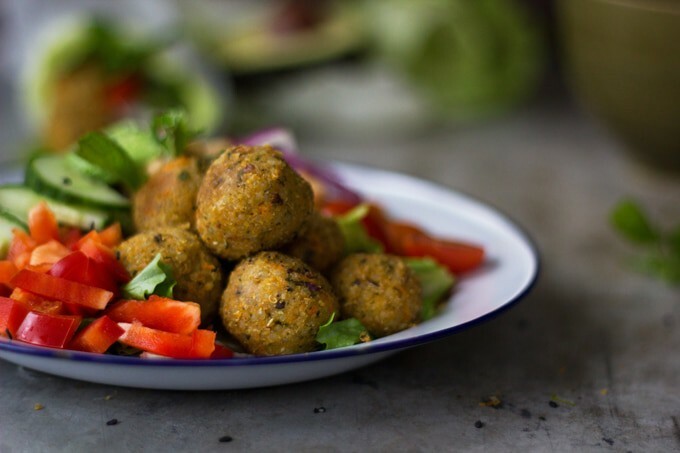 Of the wide array of tasty street fare I have tried in the past, my all-time favourite – hands down – has got to be falafel. 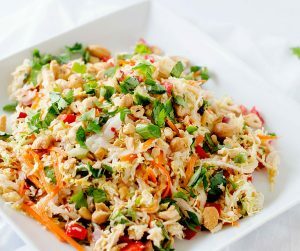 Wrapped in a flat bread, or as the topping for a salad bowl, it is one of the most delicious and versatile foods. While you could easily whip up a batch at home using one of those store bought mixes, they often contain a slew of thickeners, salts, and bad oils, that you probably don’t want to consume. 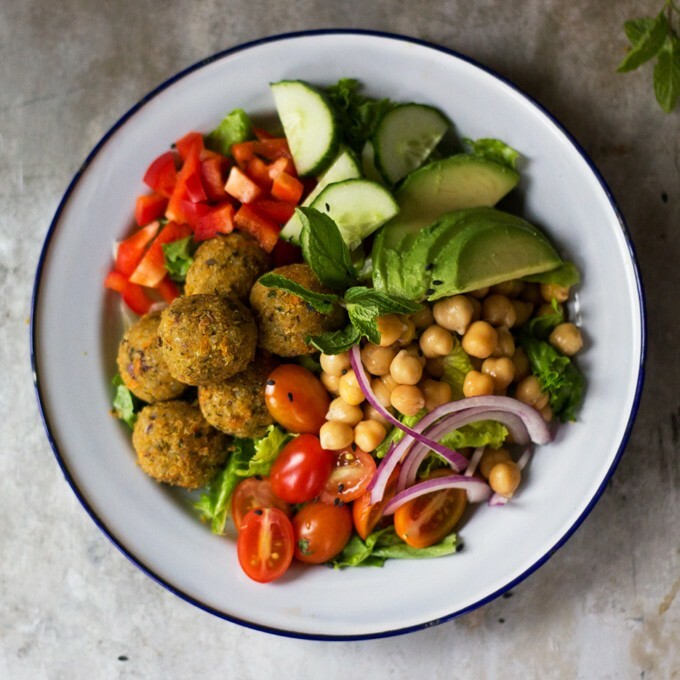 But, in the amount of time it takes to mix up one of those dried packs, you can easily put together a batch of nutritious, delicious, and healthy, home-made falafels of your own. 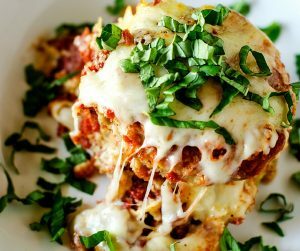 This recipe can easily be doubled to feed a larger crowd, or used throughout the week for easy lunches. 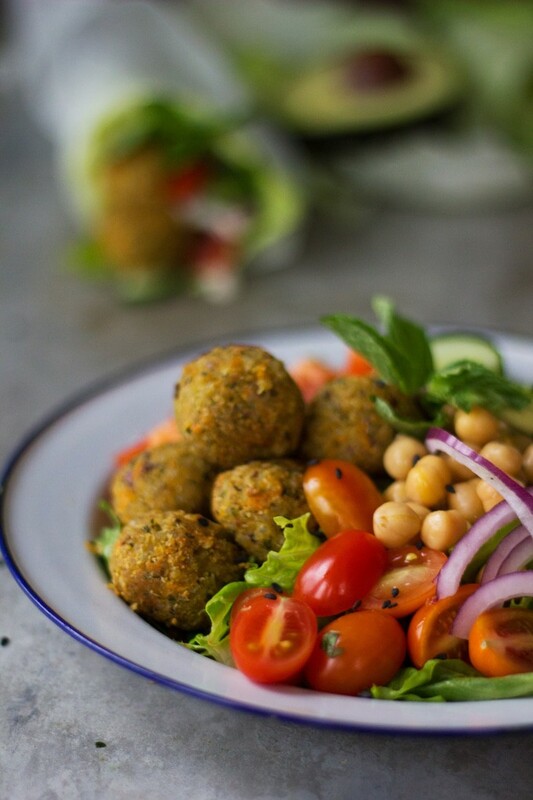 They can be served in a wrap (such as lettuce, or flat bread), over a bed of fresh of sauteed greens, or part of a meze platter with hummus, baba ghanoush, and tabbouleh. 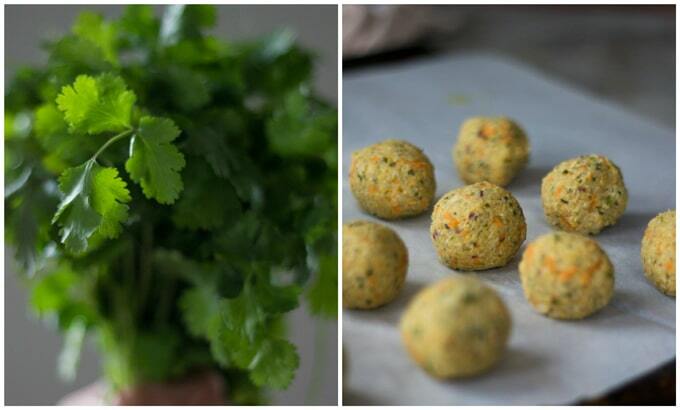 Combine all the falafel ingredients in a food processor and purée until the mixture forms a ball in the machine. You want the mix to form a 'dough', but be careful not to over-mix it, as that will make it too sticky. Taste and adjust seasoning. Measure out dough into approximately 1 Tbsp. sized balls. Set a frying pan to medium heat. One the pan is warm, add enough high-heat suitable oil (such as avocado or coconut) to cover the bottom of the pan. Add falafel, a few at a time as to not crowd the pan. Let brown on all sides - I found the best way to do this was with a slight agitation of the pan. Serve with fresh veggies of choice and Yoghurt Tahini Sauce. 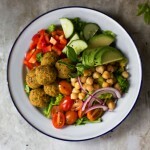 Wraps, sprouts, avocado, cucumber, peppers, greens, mint, hummus, olives, or tomatoes to serve. Combine all ingredients in a bowl. Taste and adjust for seasoning. Can we bake these instead of fry? Yes – I would try 400 degrees for 20 minutes.